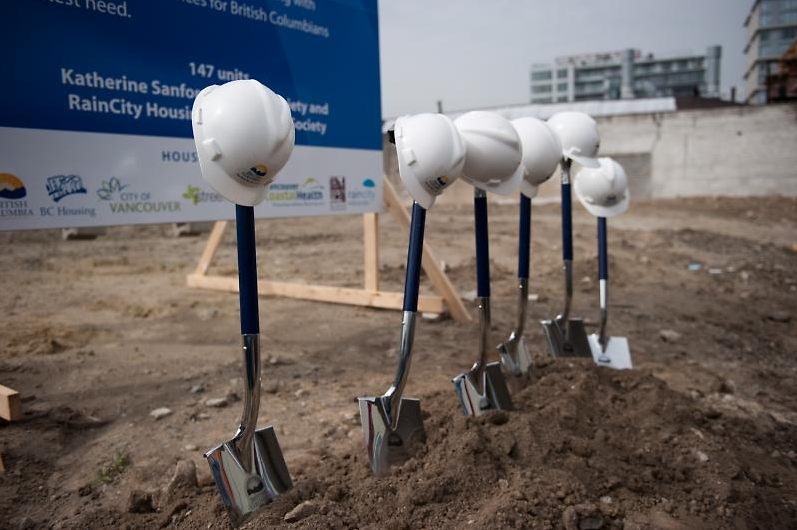 Last week, Vision Vancouver city councilor Geoff Meggs wrote an opinion piece for The Tyee claiming that City Hall is taking bold steps to address the rental housing crisis. These claims are difficult to accept given that the situation for renters in Vancouver has worsened since the election of Gregor Robertson in 2008. Rents have increased steadily, by 15% over the past four years. Since 2008, the number of low-income households in Vancouver has decreased by 18%. This is not because wages are increasing, but rather because service sector workers and their jobs have been forced out of the city. Similarly, public school enrollment has been decreasing steadily at 2% per year, even though private school enrolment hasn’t increased. According to the Vancouver School Board, the main reason families are leaving is that they can no longer afford the cost-of-living. As school funding is tied to the number of students, this has a devastating impact on the school board budget. The Vancouver School Board is now locked into a perpetual crisis of cut-backs, layoffs, and school closures. The costs of the affordability crisis are widely acknowledged, and the effects are felt by renters every day. But the reality that our affordable housing stock is being eroded under Vision Vancouver needs to be placed front-and-centre. For years Meggs has argued that only the free market can bring housing affordability. Not only are the market rental units championed by Meggs high-cost (a discussion of the cost of new market housing was published in today’s Tyee), but each new development will have have a net negative effect on the affordable neighbourhoods they are part of. This is for a simple reason: the glaring loophole in the Residential Tenancy Act (RTA). 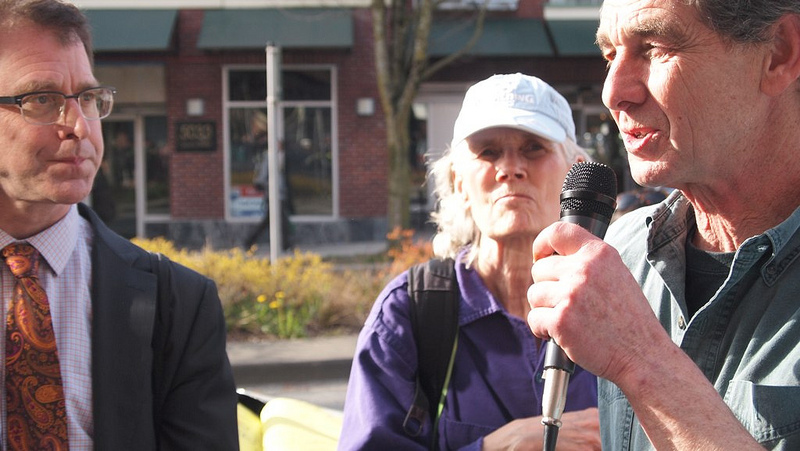 On Wednesday, March 27, residents across the city joined together to walk 14.5km across Vancouver for Welfare Justice. The walk was organized by the Raise the Rates coalition to highlight the need for a significant increase in welfare rates as well as a comprehensive anti-poverty plan in the lead-up to the provincial election this May. The walk commenced at Christy Clark’s office on West 4th Ave in Kitsilano and ended almost 8 hours later outside Adrian Dix’s office at the Joyce Street skytrain station. Homeless Dave joined the walk for Welfare Justice on the sixth day of his hunger strike against displacement and gentrification. Welfare and housing are intimately connected and as Vancouver’s low-income housing stock erodes, people on income assistance are being hit the hardest. 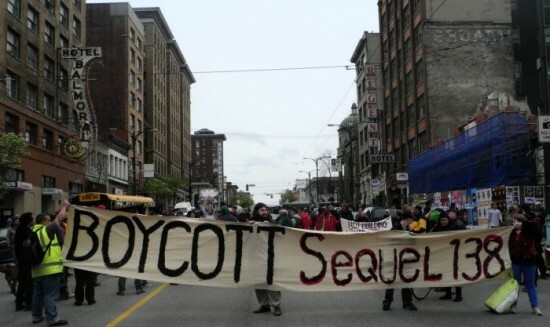 In 2012 alone, 426 SRO units in the DTES became unaffordable for people on welfare. A recent article by Seth Klein shows that despite government press releases, the actual increase in the social housing stock in BC has been negligible since 2006. 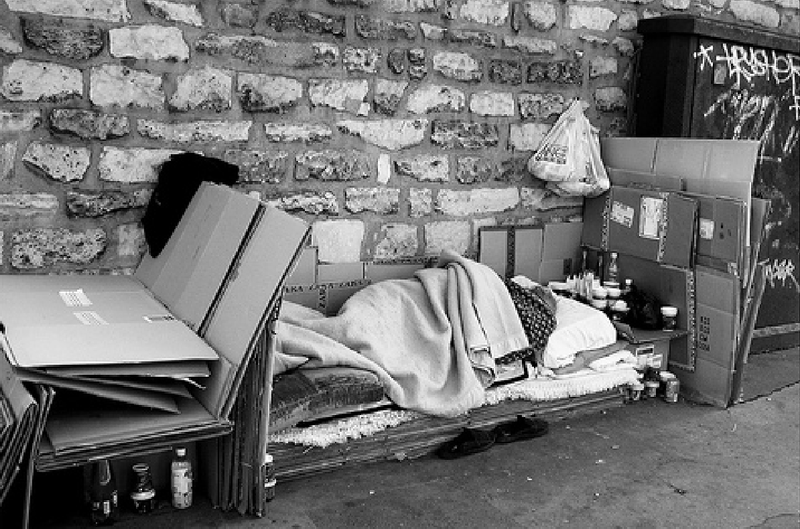 This week the City conducted its annual homelessness count. As usual, the count was conducted shortly before the closure of several emergency shelters. This April five shelters are set to close, resulting in a net loss of approximately 200 shelter beds. No replacement shelters have been planned. The homelessness count is a public relations stunt timed weeks before the yearly shelter closures. street. 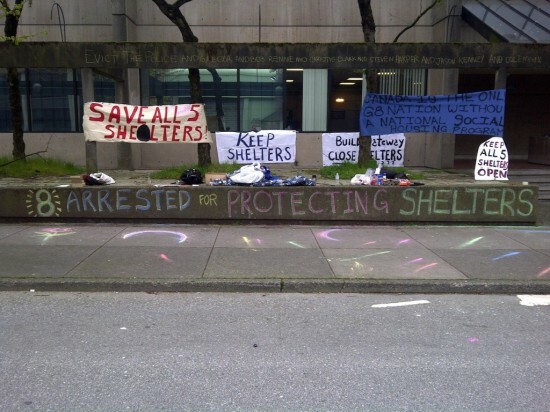 In 2010, 2011, and 2012, residents of the closing HEAT shelters were ruthlessly evicted. The shelter closures were largely ignored by the corporate press and statisticians, while limited funding extensions have been repeatedly mis-reported as creating “new” shelter spaces. This week the City has released a Report Card evaluating its progress on housing and homelessness. 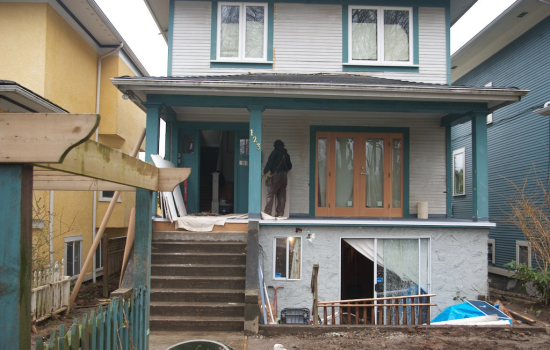 The Report Card gives an A+ to Vision councillors, praised by the Mayor for “exceeding all of the City’s short-term targets.” A brief look at the report confirms that the city is on track to continue the privatization and deregulation of Vancouver’s affordable housing. Vancouver critics like David Eby have long challenged the practice of police investigating police. The multi-million dollar public relations effort of bodies like BC Housing and the City of Vancouver, however, has not faced the same level of criticism. Like a police force that exonerates itself after an internal investigation, Vision Vancouver is issuing its own “Report Card” in order to escape unscathed from five years of a failed housing and homelessness strategy. Public backlash yesterday against the City’s plan to increase fines on homelessness and street-vending to $10,000 caused the Mayor’s office to pull the item from the agenda just before the 6pm public hearing time. According to statements made last night by Vision city councillors Geoff Meggs, Raymond Louie, and Andrea Reimer, the party has decided to postpone a decision on the matter — not because they are opposed to the high fines, but out of legal obligations in response to ongoing constitutional challenges against the City in court. The stated reason for the postponement was that the PIVOT Legal Society has launched a court challenge against the existing $2,000 fines for homelessness. The court challenge did not arise at the last minute, however, and has been ongoing since November of last year. Councillors were in full knowledge of this legal challenge (and others), as well as the impacts of the legislation on the poor and on civil liberties, when on November 28 2012 they approved the new fines in principle and asked the city’s lawyers to draft the bylaws, to be voted upon after yesterday’s public hearing. The impacts of the proposed bylaws were also discussed in recent newspaper articles, including one in the Straight on January 9th entitled “Higher fines could hit Vancouver’s homeless hard.” Nevertheless, Vision felt the new bylaws were ready to come to a vote, and made no attempt to incorporate exceptions into the bylaws for homeless people or those who cannot afford $10,000 fines. 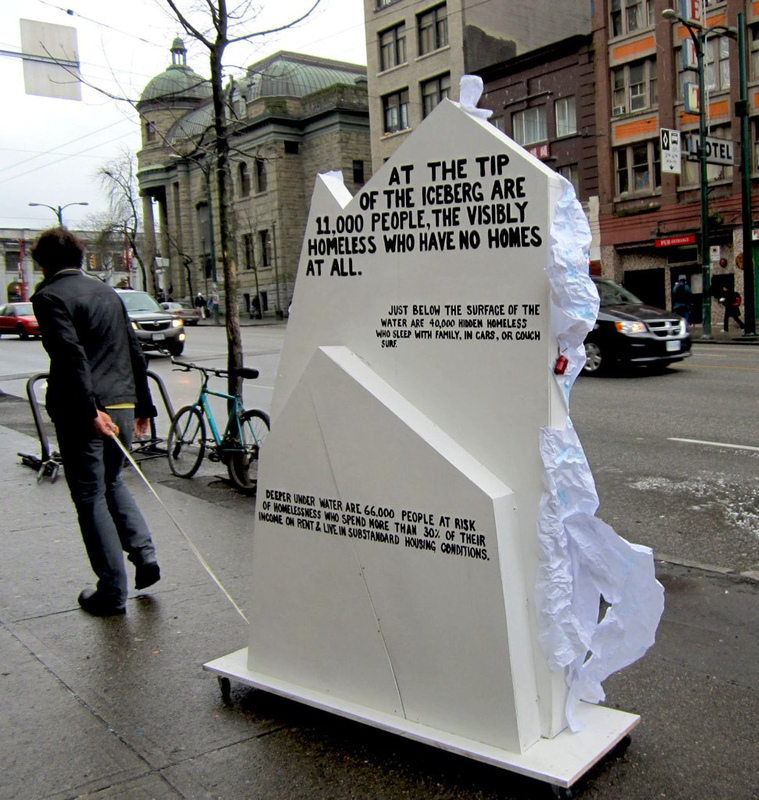 Should BC Housing subsidize a Downtown Eastside (DTES) condo developer when our neighbourhood has 850 homeless people and 3500 living in crummy hotel rooms that need to be replaced? Is Condo King Bob Rennie, also on the Board of BC Housing, behind a sweet deal that will probably increase property values two blocks away from his own office? These are two questions that shocked Downtown Eastsiders are asking after learning that BC Housing plans to loan up to $23 million to condo developer Marc Williams. Williams plans to build 79 condo units plus 18 social housing units (only 9 will rent at welfare rates) at the site of the old Pantages Theatre, 138 E. Hastings. He calls the project Sequel 138. According to The Province, the loans will be at 1.29 % interest, much lower than the going rate from a bank. The Streetohome Foundation has officially launched its new Rent Bank program with a $366,000 three-year loan from Streetohome board member Frank Giustra of the Radcliffe Foundation. Smaller administrative costs totalling $49,000 per year will be paid by the City, although the program itself will be administered by the non-profit Inner-City Community Services Society. One-time loans from the rent bank will average $835 and can reach up to a maximum of $1300 for an individual, with a repayment plan spanning up to two years. To qualify, tenants perform an assessment either online or over the phone. Tenants are issued a loan if the rent bank judges that they can afford the repayment plan, and if the tenant agrees in advance to repay the loan through automatic withdrawals on their bank account. Both the rent bank policy and the Streetohome organization were born under previous NPA and COPE municipal governments. The City’s 2005 Homeless Action Plan, drafted under COPE’s last term in office (2002 – 2005), called for the rent bank to disburse both loans and grants to low-income renters in short-term crisis. The current version is less ambitious and removes the grant option, following instead the path set out under NPA’s pro-business term (2005 – 2008). The NPA formed Streetohome in an effort to incentivize the real-estate sector to solve homelessness through philanthropy and charity.